Several school districts require a copy of the results of your child’s checkup before classes begin. To avoid any problem with the front desk, schedule your appointment today and avoid waiting until the very last minute. Even if your child’s school doesn’t require a checkup, have one done anyway to keep his or her teeth and gums healthy. Professionals recommend a dental checkup on a timely basis, with many agreeing that six months should be the maximum amount of time between visits. If your child has not been to the dentist in the last six months, definitely schedule a visit before the school semester begins. The last thing you want to do is make your child miss days of school because they need a routine checkup or an emergency visit to the dentist’s office. Avoid taking precious academic days from them by visiting a dentist before the first day back to school. It’s time to get your Little Hero’s smile bright and ready to make the best first impression. Let our sidekicks equip and assist your child in the fight against dental decay and the evil Sugarbugs. Contact Liberty Dental, our Fremont family dental office to schedule an appointment. Fighting Dental Caries (Cavities): 6 strategies you may not know! Preventative dental care is a great thing. Most of us know that daily brushing and flossing routines are the best tools we have to fight cavities. Hundreds of dollars are spent each year trying to find the best toothpaste and most effective floss that will keep tartar from building up. At Liberty Dental, Dr. Archana Gulati wants her patients to know that there is always more you can do to fight offdental caries. Eat Cheese – There are some researchers who believe that eating cheese will help protect your teeth. Calcium is great for healthy teeth and bones. The extra calcium in cheese and the saliva created while eating it will help re-mineralize your teeth as you chew. Chewing Sugar-Free Gum – Helps clean debris and bacteria off teeth which in turn helps to fight against tooth decay. Talk to Dr. Gulati to see which brand she recommends! Red Wine – It may not be the best supporter of white and bright teeth, but there have been studies done that show some of the chemical components in red wine help to fight the bacteria that create cavities. Doctors also suggest that red wine may also benefit other medical conditions. Take to you doctor or dentist to find out if this option may be best for you, and of course, drink responsibly. Eat Raisins – Raisins have the same chemical compounds as found in red wine which fights the same bacteria. It was always believed that raisins created cavities with all their sticky sweet goodness, but if you have a proper brushing and flossing regimen, the good outweighs any potential bad. Drink with a Straw – If you must drink the sugary drinks, try sipping them through a straw. The straw helps limit the contact the soda or other drinks has on teeth, but it doesn’t cut the calories. It by no means offers full protection against cavities, but if you absolutely can’t go without, it’s a great added defense. Here’s one that is proven to prevent cavities! Dental Sealants – Dentists know that sealants workgreat to prevent cavities. Dr Gulati will put a protective coating on your back teeth that seeps into the grooves to help prevent dental caries. Sealants will keep bacteria out of those hard to reach areas. Here’s a prevention method you do know, but may avoid – routine visits to the dentist! If you do have a cavity, let Dr. Gulati find it early enough that you don’t need to number your tooth area to fix. Early detection helps keep your mouth healthy, treatment plans simple and easy and less time in the operatory chair. If you haven’t seen the dentist in the last six months, contact Dr. Gulati’s staff at Liberty Dental today. Schedule a check-up and cleaning and get back into the routine. Liberty Dental welcomes patients starting at the age of 3 who live in and around the Fremont area. Cosmetic dentistry has come a long way over the years. Dental advancements no longer look at just the function and health of the tooth. Many procedures aim at improving the look (aesthetics) of a tooth as well. It’s nice to know that your dentist will make restorations that look and feel like a natural tooth. But what if you don’t need a restoration? How can you improve the beauty of your smile if you don’t need to have restorative work done? There are several option available that only focus on aesthetics. Lumineers® is one of the more affordable, permanent procedures that use a minimally intrusive treatment plan. Why would a patient purchase Lumineers over other cosmetic options like teeth whitening or veneers? Whiten and brighten your smile! Lumineers are a more permanent option than teeth whitening systems, plus they hide the tough stains and permanent white spots. Where whitening trays and bleaching can only improve in shade increments, Lumineers are created to permanently change the color to match your desired look. Obtain a uniform smile! People who are born with uneven, overly small teeth or have unwanted gaps in between certain teeth want to improve the overall look of their smile. Lumineers are designed to cover your permanent teeth to hide any deformation or broken/chipped teeth. There is no rebuilding of teeth, no crowns, no orthodontic procedure, just a beautiful finished look once the Lumineers are placed. Minimally invasive procedure! Like any dental procedure, there will always be an exam to determine if you qualify or not. Once the dentist says that Lumineers are a good fit, there is very little to do to prepare the teeth. Impressions and a good cleaning are a must, but Lumineers do not need to be prepared as intensively as veneers. The coating is ultra-thin and will fit over your natural teeth with only a small amount of prep work. You can change your mind! Unlike veneers, Lumineers are removed easily if you change your mind or need additional work done on any of the targeted teeth. Because the teeth were minimally prepped, there is no risk to sensitivities and your teeth retain their original look. Long-lasting improvements! Lumineers are easy to care for and give a patient long lasting results. Your dentist will educate you on how to best care for your teeth at home. ContactLiberty Dental for more information or to schedule an appointment to improve your smile with Lumineers® Dr. Gulati will examine your teeth and talk about your cosmetic options. You can have your desired smile without a complex treatment plan. Call today! Why is Gum Disease Irreversible? In order to understand why gum disease is irreversible, it is important to understand what is defined as gum disease. In general, gum disease is broken up into three stages. The first and simplest form is also known as gingivitis and is reversible. The latter two stages technically known as periodontitis and advanced periodontitis are permanent. Breathe a sigh of relief when your dentist tells you that you have Gingivitis. It isn't a good report, but know that with a bit of dedication to your teeth and gums, you can reverse this early stage of gum disease. Plaque has built up around the base of the tooth where it meets the gum line. This tartar irritates the gum and creates inflammation and bleeding during regular brushing and flossing. During this beginning stage, the bone and tissue have not been affected at this point and with a hygienists help to clean the area and your dedication to keep the area clean, healthy gum tissue will heal. This second stage of gum disease is permanent. The plaque has built up enough to damage gum tissue and bone. The bone and tissue that helps hold your tooth in place will not back to a healthy place. This stage is often described as having ‘pockets’ around the teeth. Food and plaque get trapped in these pockets and promote further damage and potential infection. Deep cleaning is a dental procedure that will clean these pockets. Why is it irreversible? Cleaning the pockets does not remove the gap between your gums and teeth. What it does is prevent the pocket from growing but then leaves the patient responsible for keeping the areas as clean as possible. Routine visits can help stop the spreading of Periodontitis to the advanced level, but will remain a condition to care for forever. Letting your condition worsen to this final stage of gum disease and you will be fighting to keep your teeth in your mouth. The pockets have grown and fibers and bone that support the tooth are now destroyed. Teeth can shift and loosen in this advanced stage. Patients might have their teeth saved with aggressive treatment but in the end, affected teeth may have to be removed. At-home care is a much more involved process but essential if you want to save your teeth. Your dentist may suggest root planning to help treat the gaps and make it more difficult for food and plaque to get in, but regular checkups and daily cleaning regimens are a must to keep the area from further damage. Dr. Gulati educates her patients to spot signs and symptoms in the earliest stages. As a family dentist, she makes it her priority to stay abreast with physical health issues that may contribute to the advancement of gum disease. If you live in or around the Fremont, CA area and want to know more about what to look out for or if your discomfort can be reversed, contact Dr. Gulati and schedule an appointment today. Denture plates are one of the top selling dental options for replacing missing teeth. There are full sets of dentures for both upper and lower palates as well as partial dentures that replace two or more adjacent teeth. Partials can easily clasp to neighboring teeth whereas full plates must be set in place by other measures. The most common method is an over-the counter synthetic adhesive. Denture adhesives are not always successful. Many denture wearers struggle with dietary choices, eating and speaking in public, and sneezing their dentures out of place. Besides the obvious embarrassing outcome of such an event, slipping dentures creates pain and discomfort. Denture wearers have a more permanent option to create a healthy smile with full function without the negative impact that ill-fitting dentures can bring. Dental implants are an advanced technology that not only supports a single tooth or denture, but creates a more permanent solution to a missing tooth or teeth. Implants are stabilized within the jaw bone and abutments are attached and mimic a natural tooth from root to tip. No slipping! – The titanium implant fuses into the bone and secure the denture in place. The denture plate is created with a fastener to fits securely over the implant. No more pain or speech problems due to moving dentures. No diet limitations!– Secure dentures will stay in place no matter what you eat. They will also have better function when chewing to alleviate digestion troubles. Improves confidence!- Implant supported dentures will give a patient a more confident feeling in both personal and professional relationships. Prevents premature facial aging! – When teeth are missing, bone and gum tissue lose their ability to help support the face. Over-time, facial features will change creating premature wrinkles and a sunken look. Strengthens jaw bone!– The jaw bone is stimulated when teeth chew. The pressure resounds down through the tooth and roots and helps preserve the health of the bone. This stimulation is mimicked by implants since they are set into the bone itself. Traditional denture plates do not reach the bone and will not support bone health. If you are interested in finding out if you are a candidate for denture supported implants, contact Dr. Gulati of Liberty Dental for more information and to schedule an appointment. Invisalign is often associated with cosmetic dentistry. The clear aligners are much less noticeable than metal wires and brackets and many adults appreciate the cleaner look. Besides the cosmetic benefits, Invisalign aligners will also give wearers healthy benefits. Looking good is always a plus, but feeling good makes the process that much better! 1 1 - Metal wires and brackets will get some getting used to. If a wire breaks or comes unglued, brace wearers will experience the pain and discomfort of soft-tissue damage to their inner cheeks, gums and tongue. Invisalign aligners are made up of a smooth plastic that will not traumatize the inner mouth. Patients will have an adjustment period to get used to the aligner, but will not have to deal with cuts or scrapes. 2 2 - Because the aligners are removed while eating and brushing, good oral hygiene is easy! Traditional brace wearers have a list of foods to avoid and will still have trouble trying to clean in and around the metal to prevent decay without damaging the brackets or wires. 3 - Invisalign is gentler than traditional braces. Traditional metal brace wearers will go to the dentist to have their wires adjusted. Brackets are tightened and force teeth and roots into the new position. The aligners are created to slowly move the teeth in small increments which is less traumatic to gums and bone underneath. When the process is complete, there is minimal to no wear and tear within the mouth. As a family dentist who cares about her patients’ well-being, becoming an Invisalign Preferred Provider was an easy choice. 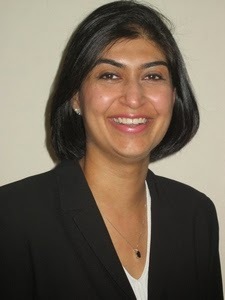 Dr. Gulati dedicates herself to offering her patients the best in dental care. If you want to know more or are interested in finding out if you are a good candidate for the alternative orthodontic procedure, please contact Dr. Gulati at her Fremont office. Schedule a consultation to talk about your new smile! Taking a child to the dentist is not always an easy parental task. It too often involves lots of complaining and might even provoke full blown tantrums. Many children have a preconceived notion that their visit will bring pain and discomfort. These thought may grow from a troubling past experience, the fear of the “what could happen” or having listened to others describe their less than comfortable experience. Family dentists who place a special focus on caring for their young patients can help to alleviate the fear and anxiety that often accompanies a trip to the dentist. Children’s dentistry is important. It places an emphasis on the child’s emotional well-being during their time spent in the operatory chair. When these young patients experience a positive, there is less likely a chance of lingering anxiety for the next appointment. Positive reinforcement works! Parents and teachers use positive reinforcement every day. Children thrive in this type of environment. Dentists who take the extra time to talk and educate their patients (of any age) about good dental hygiene habits will make a difference. A children’s dentist, like Dr. Gulati, is dedicated to giving these young patients a positive experience in the beginning. It helps to alleviate a good portion of the fear and anxiety about a trip to the dentist. Getting a special prize at the end of the dental visit will also increase the positive experience. Baby teeth (milk teeth, primary teeth) are important too! They are dragged to the dentist by their parents because good oral hygiene is not a choice. It is important for parents to find a dentist who goes out of their way to make the experience a positive one. If a child goes to the dentist for the first time with a mouth full of problems, chances are that they will leave with a less than stellar impression of future trips. Dr. Gulati encourages her families to begin taking their children to the dentist as young as 2 or 3. Young patients will get to know the staff and sit in the operatory chairs without it being a negative experience. The staff at Liberty Dental interact with the youngsters, answering questions and making them feel like important people too. They build a trusting relationship in an effort to create a comfortable environment. Early detection prevents invasive procedures. When a dentist has taken their time to build a trusting relationship with a young patient, parents have little to no struggle getting them to routine appointments. Routine checkups give dentists an opportunity to catch problems in the beginning stages. Cavities that have not had a chance to grow can be cleaned and filled in very little time and may not require the use of needles. The least intrusive procedure will help to prevent a negative experience. A family dentist who has a focus on caring for young patients before they need corrective procedures will make a difference in how the child feels and thinks about a trip to the dentist. Dr. Gulati encourages parents to ask questions and learn more about preventative measures that will keep dental visits a more positive experience for children at any age. Fighting fear and anxiety before they have time to procure, will help youngsters grow up with a positive outlook towards dental visits and a healthy smile to prove it! ContactDr. Gulati for more information on children’s dentistry and tips to make your child’s experience a more positive one. Welcome to our Liberty Dental blog! We're excited to announce the official launch of our Liberty Dental blog. If you would like to stay up to date on the latest from Liberty Dental, simply click the RSS “Subscribe to feed” link located on our website and subscribe. Our subscribers will be updated when we make a new blog post.